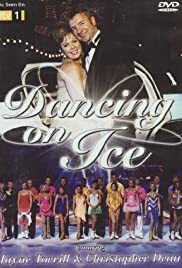 Dancing on ice when it started was something a bit different. Two legendary Olympic skaters in Torvil and Dean training celebs to ice skate made for an interesting premise. Now however after seven series you can't help but thinking this premise has run it's course. The celebs are getting more and more Z-list by the minute and all the tricks have been seen before. Even the changes to the judging panel haven't really boosted things. The first few series were entertaining because everything was fresh and new but now the rot has set in a little bit and unless ITV do something major to ramp up the interest or pay big money to get big name stars I can see the shows popularity waning further.